Station IB4 is one of the fixed CTD stations, which together form The Extended Ellett Line. 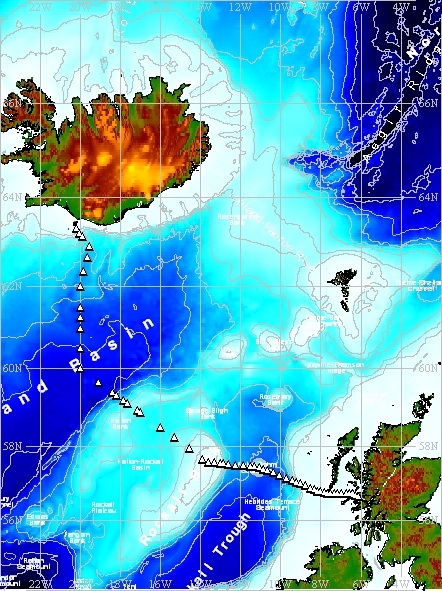 The line lies between Iceland and the Sound of Mull (Scotland) crossing the Iceland Basin and Rockall Trough via the outcrop of Rockall. As part of this initiative, CTD dips, together with associated discrete sampling of the water column, have typically been carried out annually at this station since September 1996.